Don’t see your question listed below? Email the friendly staff in Truman State University’s Center for International Students (CIS) with any questions about your admissions process. 1. What are the deadlines for applications? 2. How do I apply to Truman? 3. Does Truman offer any kind of Financial Aid? 4. How do I apply for scholarships? 5. How much scholarship is available? 6. If I get a scholarship, will I need to have proof of financial support from my family or sponsor? 7. Is the scholarship for one year or for my entire education? 8. What are the conditions of keeping my scholarship? 9. Can I have all my scholarship applied to my first semester’s fees? 10. What if I lose my scholarship? 11. Can I increase my Truman scholarships after I arrive? 12. Can Truman State University help me find a financial sponsor? 13. I want to work to pay for my education. Is this allowed? 14. What are the rules of employment for F-1 student visa holders? 15. Do I need to take the SAT if I took TOEFL? 16. Do I need to take a different English test if I took the West African Exam Council (WAEC) exam? 17. Is Institutional TOEFL valid? 18. I was in an English school, do I need to take the TOEFL? 19. If I completed an intensive English Program through ELS or KAPLAN, do I need to take the TOEFL? 20. Can I fax my bank documents? 21. How much money do I need to have? 22. What if my parents are my sponsors? 23. Do I need to write an essay on each one of the prompts? 24. In which subject should I write my essay? 25. Can I email or fax my transcripts? 26. Will I be able to receive the original copies of my transcripts back? 27. What are certified copies? 28. How do I get certified copies? 29. Which transcripts do I need to submit? 30. Do I need to submit my diplomas? 31. Do my transcripts need to be in English? 32. When will I receive an answer about my admission? 33. When will I get my I-20? 34. What are the documents required for the consulate? 35. Where do I go to get a visa? 36. What is the SEVIS fee? 37. Who is required to pay the SEVIS fee? 38. How long does it take to get a visa interview? Fill out an online application or apply through the Common Application. Truman State University offers financial aid to international students in the form of academic scholarships. Approximately 85% of all new international students each year will be awarded a President’s Honorary Scholarship ranging from $1,000 to $6,000 per year. All students are automatically considered for scholarships when being considered for admission. There is no separate scholarship application. Our most common scholarship is the International President’s Honorary Scholarship, which ranges from $1,000-$6,000. You can find more information on our scholarships page. Yes, Truman State University is pleased to offer partial scholarships to international students, but we seldom offer full scholarships that cover tuition and all other fees. You must prove one year of financial support and project financial support for the rest of your education. U.S. law requires that the University has this proof of financial support before we can issue the I-20 Certificate of Eligibility with which you apply for the student visa. You must also prove financial support to the U.S. Consulate when applying for the student visa. The number of transfer credits you receive determines the length your scholarship is awarded. Scholarships are awarded for up to eight semesters depending on the number of transfer credits received. 8. What are the conditions for keeping my scholarship? In order to renew your scholarship at 100%, you must receive a Truman grade point average of 3.25 on a 4.0 scale. The amount of scholarship renewed decreases as Truman GPA decreases, and that scale can be found here. Students must also work 58 hours per semester of service to the university through scholarship hours beginning their third semester. No, Truman State University awards scholarships for one academic year. The academic year is divided into two semesters, with one half of your scholarship applied each semester. In the event that you lose your scholarship, you, along with your parent(s) and/or sponsor(s), are responsible for payment of all education and living costs. No, the International President’s Honorary Scholarship is awarded at the time of admission and cannot be increased after your enrollment. 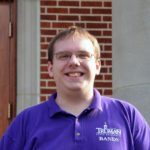 However, Truman State University makes other types of scholarships available to students during their studies, such as the Foundation Scholarships. No, Truman State University is a public state university and CANNOT solicit sponsors for individual international students. No, it is not legally possible for a student to work enough to pay for their education. See the rules of employment for F-1 students below. Also, given the challenging nature of the Truman State University curriculum and the energy required for cultural adjustment, students should not plan to work on campus over 10 hours per week or they will not be able to maintain their grades at the required level. Students who hold an F-1 visa may work on campus from the first day of the semester. Each student is limited to 20 hours per week while classes are in session or 39 hours per week during breaks and holidays. The student is responsible for obtaining his/her own on-campus job if he/she so wishes. Truman State University does not provide job placement. The holder of an F-1 visa may not work off-campus without permission of the USCIS. The student may apply to the USCIS for off-campus work permission after the completion of one academic year (nine months). The applicant must submit documents proving severe unforeseen ‘financial need.’ Since the application process takes approximately 90 days, students should not plan on working off-campus for at least 12 months from arrival. The application cost is $340. No, you are only required to take one of the English Proficiency Exams listed on the required documents checklist. Yes, you will need to take ONE of the English proficiency tests listed on our Admissions Requirements page. Yes, Truman accepts Institutional TOEFL. All students must submit some form of Proficiency Exam. This could include the ACT, SAT, TOEFL, or IELTS. 19. If I completed an intensive English Program through ELS , do I need to take the TOEFL? No, if you complete the 12 levels of the ELS program (or 9 levels of TLC) you are not required to take an English Proficiency Exam. 20. Can I email my bank documents? Yes, you may email your bank documents to us. However, Truman reserves the right to ask for further certification of any documents. 21. How much money do I need to have currently? International students must show enough funds to cover tuition for the first year. Your bank statement should show at least $27,577 for undergraduate students or $28,603 for graduate students. If your parents are your sponsors, then they should sign the Certificate of Financial Support and provide us with their bank statements. No, you are only required to write one essay on one of the listed prompts. You can find the topics for the essay on our Admission Requirements page. No, we do not accept scanned copies of transcripts; they must be official or certified copies mailed to our office. No, we are not able to return original copies of any admissions documents. We will accept original copies, but we strongly suggest sending certified copies rather than originals. Certified copies are attested copies that have been signed by a Notary Public. They contain the original stamp or signature of the attesting authority. You will need to take the original document and a copy to a Notary Public or lawyer, so they can certify the authenticity of the document. You must submit transcripts from all educational pursuits, including high school and any college or university attended, and examination scores. These may include GCE O-Levels and A-Levels, as well as WAEC scores if from Africa. No, it is not required to submit your diplomas. Yes, all transcripts must to be translated to English. After all required documents have been received, you will be sent an email informing you that your file is complete and has been sent to the Admissions Committee. Please allow up to four weeks for an admission decision to be made. You will be notified of your admission decision via email. Once you are fully admitted to Truman State University, your I-20 will be sent up to two weeks after admission. Your package will include your I-20, along with other acceptance materials. Depending on the location and mail services in your area, please allow up to two weeks for your acceptance package to arrive. You are required to take your I-20, Acceptance Letter, SEVIS receipt, and Passport. For further information, you may visit the American Consulate website of your country. Scheduling an appointment with the American Consulate is required in order for you to get a visa. There is usually a fee to schedule an appointment with the Consulate. The American Consulate of your country. SEVIS, or Student and Exchange Visitor Information System, is administered by Immigration and Customs Enforcement (ICE) in the Department of Homeland Security (DHS). The SEVIS fee of $200 for potential F-1 visa holders and $180 for potential J-1 visa holders must be paid to the Department of Homeland Security in order for the student to complete his/her visa application. All international students must pay the SEVIS fee in order to be registered on SEVIS. You may visit the U.S. Immigration and Customs Enforcement website at www.fmjfee.com in order to make a payment. It depends on the country. We recommend that you get information on the visa process as soon as possible. Visit the American Consulate website for your home country to do so.